Cinchona officinalis, or Quinine Bark, is one of the rainforest's most famous plants and most important discoveries in Amazon Rainforest. 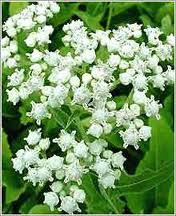 This plant is used for the production of quinine, which is an anti-fever agent. Since mid-1600s Quinine bark was used as anti-malarial drug. It was also used for fever, indigestion, diarrhea, flu, mouth and throat diseases, and hangover. There are a number of various other products which are made from this tree, and they include cinchonine, cinchonidine and quinidine. Scientists have studied the effects of quinine and cinchonine on cardiac patients for several hundred years. They have found that these chemicals regulate heart palpitations and normalize heart functions. The compound quinitidine is a prescription medication still used by cardiologists. Legend has it that the name Cinchona came from the countess of Chinchon, the wife of a Peruvian viceroy, who was cured of a malarial type of fever by using the bark of the cinchona tree in 1638. Scientists later isolated the quinine and cinchonine, and then began producing a powdered bark remedy. Typically, the cinchona officinalis can be harvested without destroying the tree, and once the bark is removed, it will regenerate after a few years. Scientists have not found a way to synthesize the quinitidine compound, so the natural ingredient in cinchona officinalis remains essential to homeopathic and herbal healing. Cinchona officinalis is an effective homeopathic remedy used as a tonic for nervous exhaustion,digestive aid to stimulate digestion and appetite, for hemorrhoids, varicose veins, headaches, leg cramps, colds, flu, and indigestion, and for its astringent, bactericidal, and anesthetic actions in various other conditions to heal liver, spleen, and gallbladder problems. In addition to being a great homeopathic remedy to fight malaria, they also used it for toothpaste, mouth and throat diseases, and to fight cancer.